I find myself in a unique position when it comes to New Covenant Academy (my high school alma mater). You can say pretty much that I’ve been involved with NCA in some fashion just about my entire life. That all being said, I’m writing today to share an exciting opportunity the school is pursuing. 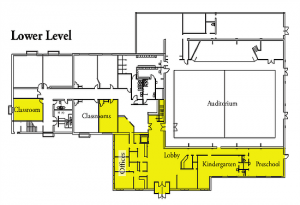 We’re running out of space (which is a good problem to have), and we’re looking to make some changes as far as adding additional space for Pre-K and Kindergarten, which will then allow for some other changes throughout the school as far as layout and optimal use of space is concerned. 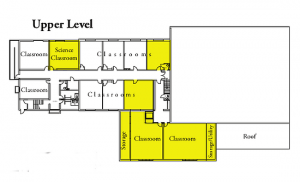 We would be upgrading our science lab and also placing offices in a more prominent and secure location. Here is an idea of how the layout of the changes would look. And a small render of what the front would look like. As things stand today, the remainder of the balance on the project is $750,000, and we won’t do the project without 100% of the funds being supplied. Here’s where you might be able to lend a hand. We’ve recently launched an online giving campaign! Check out The Living Tree Campaign, and consider whether you would like to get involved in this project that will make an impact on the lives of children for years to come!